A meeting is scheduled for Jan 11. The "Children of the Confederacy Creed" plaque has drawn controversy for its denial that preserving slavery was an underlying cause of the Civil War. Dec. 5, 2018. Miguel Gutierrez Jr. / The Texas Tribune. 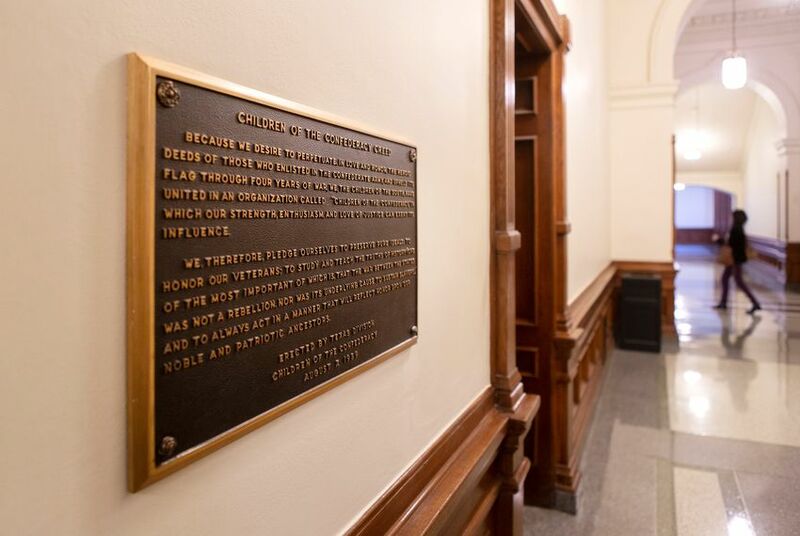 Disclosure: The State Preservation Board has been a financial supporter of The Texas Tribune, a nonprofit, nonpartisan news organization that is funded in part by donations from members, foundations and corporate sponsors. Financial supporters play no role in the Tribune's journalism. Find a complete list of them here.